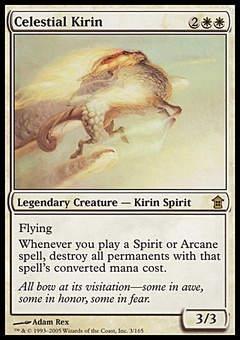 Rakdos, the Showstopper ($0.63) Price History from major stores - Ravnica Allegiance - MTGPrice.com Values for Ebay, Amazon and hobby stores! 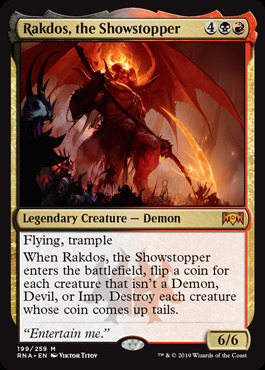 Card Text: Flying, trample When Rakdos, the Showstopper enters the battlefield, flip a coin for each creature that isn't a Demon, Devil, or Imp. Destroy each creature whose coin comes up tails.